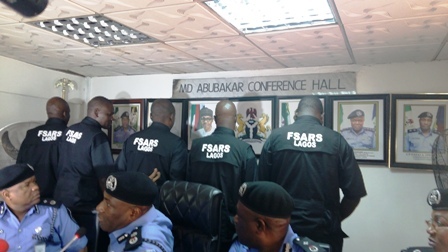 Acting President Yemi Osinbajo has ordered an immediate re-organisation of the police’s Special Anti-Robbery Squad (SARS). Meanwhile, the Acting President has directed the National Human Rights Commission to set up a Special Panel that will conduct an investigation of the alleged unlawful activities of SARS in order to afford members of the general public the opportunity to present their grievances with a view to ensuring redress. A very brutal video of a Nigerian man being brutally thrashed by his South Delhi neighbours, who accused of theft has emerged. The man in this video, (click the link below) is a Nigerian young man, whose name has not been known by the time of this report had his legs tied by his Indian neighbours, who took turns to brutalise him with whatever their hands could reach. Some of them had long lumber and base-ball-bat like sticks and they actively took turns to beat the hell out of him while he begged for mercy. While some folks described this as sheer racism, some claim it is a normal jungle justice culture found in developing countries, where mobs always mete out jungle justice on any suspect without recourse to the law. It is clamied that brutal mob justice is unacceptabe in India and the Indian police has said that it will commence investigation and arrest one of the mobs, whose face was clearly seen in the video. Initially, the South Delhi police denied that no such thing like this happened in the area under its jurisdiction. The file number for this case is going to be filed under culpable homicide with IPC section code number 308, against those involved in this mob attack. In another development, the Public Relation Officer of the Indian police, Mr Deependra Pathak said that “initially a case of attemped robbery was reported and they are coroborating evidences and no action was taken after due medical examination. But now, since the emergency of this video, judging from certain portions of the video, new evidence has emerged and the Delhi police has taken that into account and necessary legal action been taken. A human rights activist, Brinda Adige, described the video attack as very, very brutal and horrific. She said that in the video, it could be seen that bystanders, passerbys were indifferent and none dared to call the police. She said that someone should have called the police for suspected crime than the mob taking law into their hands. She also said that being an African, the mob were also emboldened due to the fact, that he is most likely not going to register or file for a complaint. And people would take turns to beat him and walk away from there after. So, she is not very sure if the victim of this bruatl attack has gone to the police to report those who brutally assaulted him. Also, the police has not registered a crime and so she is not statisfied that this case has been handled properly by the police. Brinda Adige said that human rights violations because someone has been alleged to have committed a crime is not acceptable. It is also reported that if the Indian police does not take action, it simply means that the police is complicit in the action shown in the video. There was complaint made with regards to attempted theft, and the neighbours said that the victim they brutalised fell from the stairs and that was how he got the injuries he sustained during the brutal thrashing by the mob. Allegedly, two of the suspects have been arrested. The Indigenous People of Biafra, IPOB, has raised alarm via their press release claiming that the Nigerian security forces intend to carry out criminal activities and blame it on the group, in order to frame them as truly a terrorist organisation. Allegedly, the federal government has big task and problem to prove to the international community that IPOB is indeed a terrorist group, which its flimsy court decision has failed to do so far even within Nigeria. So, IPOB claims that there is a plot by Nigerian security forces to manufacture evidence by carrying out gross criminal activities within South East and blame them on IPOB members. And they would use it as an excuse to carrying out widespread attacks and killings in the disguise that they are fighting terrorists. We the family of Indigenous People of Biafra (IPOB) worldwide under the command and leadership of Mazi Nnamdi Kanu wish to urgently draw the attention of the civilised world to the dastardly plot being perfected by the APC Hausa-Fulani led Islamic government of Nigeria against peaceful unarmed members of IPOB residing in Biafra land in the next few weeks. IPOB Intelligence Unit have uncovered elaborate plans by the Islamic APC government of Buhari to incriminate IPOB members in order to justify their controversial and unpopular proscription of IPOB with the attending laughable tag of the terrorist organisation against a world recognised peaceful movement. This Islamic Hausa-Fulani controlled and dominated security apparatus in Nigeria led by Muhammadu Buhari have resolved to commence another round of their periodic genocidal massacre of innocent civilians across South East and South South within the next few weeks under the cover that IPOB is a terrorist organisation. They have concluded in their sadistic minds to kill as many people as possible. They want to spread terror, intimidation and instil fear in the minds of those that will survive this massacre and cause our people to renounce or abandon their legitimate quest for freedom. The plan is to bring the people of old Eastern Region to submission before 2019 presidential elections. In the meeting where they concluded this devilish line of action, they boasted that they have succeeded in bringing some South East and South South politicians, especially South East governors under their control, what was left for them to complete the conquest and subjugation of entire Biafraland are the youths. Tagging IPOB a terrorist organisation and having such authenticated by a court of law was the first crucial step towards setting the stage for the impending genocide. The wholesale massacre is scheduled to begin in precisely three weeks time. The military, police and the DSS exclusively staffed by Hausa-Fulani Islamic extremists would carry out murderous simultaneous raids across South East and parts of South-South to eliminate tens of hundreds of young men under the guise of hunting for IPOB sympathisers. They assumed that having successfully bought over the conscience of South East governors to join them in their genocidal plot with promises of second tenure in office, they can proceed to execute their plan with nobody standing in their way. To justify and make this genocidal act against the people look real, the Nigerian Army will take condemned criminals from prisons, dress them in military uniforms, then execute them during an unprovoked attack to make it seem that IPOB killed Nigerian soldiers. They will then call a world press conference to show the media corpses of ‘solders’ killed by IPOB in order to justify their decision to tag IPOB a terrorist group and hopefully dent the standing of IPOB in the eyes of lovers of freedom all over the world. This evil plan will also involve burning down some police stations in the Eastern Region with the claim that it was done by IPOB sympathisers loyal to the leader Mazi Nnamdi Kanu. It is presently clear that a special squad has been trained to spearhead and carry this plot to the letter. The plan is to trigger an ethnoreligious crisis of immense proportion as a prelude to unleashing what they termed the final solution to the Igbo question in Nigeria. South East governors who till date could not defend their states against wave after wave of Fulani herdsmen murderous invasion have gladly volunteered, in exchange for a second term in office, to collaborate with Arewa North to inflict another genocide on the people of Biafra. South-South is not left out of this plot because the plan also is to instigate crisis of confidence so that South East and South South can never come together to forge a common position. After all the only resource that sustains the economy of Nigeria, crude oil and gas, are found only in South East and South South both of which make up Biafraland. So dividing them makes it easier for Arewa North and their co-conspirators to continue the ruthless exploitation and subjugation of Biafrans. In the pursuit of this divide and conquer agenda, there is a plan to appoint a person from “South-South” into “a powerful” office in the Federal government either into the office of Chief of Defense Staff or Secretary to the Government of Federation. This individual will be given the responsibility of ensuring that the people of South-South do not rise in opposition when the massacre of Igbos gets underway. The idea is to highlight, magnify and amplify perceived differences between South East and South South by Hausa-Fulani controlled North as they did during the war and with abandoned property afterwards. Further, it would make the unsuspecting “South Southerners” think that they have to save their brother’s appointment by dissociating themselves from the Biafra restoration project. Furthermore, to seal this well-orchestrated evil plot, the Arewa North will soon appoint a Yoruba to replace the present Inspector General of Police to give the impression that the fight against Biafrans in general and Igbo, in particular, was being spearheaded by the South West and the South-South in collaboration with the North. Needless to say that these plans will never work because there are more than enough men and women of good conscience in South-South and South West to allow such ploy to take hold. This divide and conquer of Biafraland effectively deployed in the past, that handed Nigeria over to core Arewa North as their estate will not be allowed to repeat itself because we are IPOB and God Almighty Creator is always on our side. The world is put on notice that should this impending genocide commence, South East governors, Arewa Consultative Forum, Northern Elders Forum, the Presidency and entire Islamic Core North should be held responsible because IPOB is not and can never be a terrorist organisation. We do not kill, we abhor lawlessness and till date, nobody can point to a breakdown of law and order incident attributable to IPOB activities. We are too civilised a people, from time immemorial, to want to dabble into the primitive destruction of lives and properties. That is the exclusive preserve of the Arewa North, not IPOB. All we are asking for is a referendum so that our people can decide if they want to be free in Biafra or remain as slaves in Nigeria. President Muhammadu Buhari has condemned the killings in Myanmar which have been targeted at the Muslim-majority Rohingya population. The President also asked the United Nations not to forget the people of Palestine who have been suffering for decades. Buhari said this while delivering his speech before over 150 world leaders at the 72nd United National General Assembly in New York on Tuesday. He said the killing of the Rohingya people was reminiscent of the 1994 Rwandan Genocide. While expressing fear over the possibility of a nuclear war due to the activities of North Korea, the President urged the UN not to forget United Nations Security Council Resolutions from 1967 on the Middle East crisis which remains unimplemented. Buhari said, “New conflicts should not make us lose focus on ongoing unresolved old conflicts. For example, several UN Security Council Resolutions from 1967 on the Middle East crisis remain unimplemented. Meanwhile, the suffering of the Palestinian people and the blockade of Gaza continue. “Additionally, we are now confronted by the desperate human rights and humanitarian situation in Yemen and most tragically in the Rakhine State of Myanmar. The Myanmar crisis is very reminiscent of what happened in Bosnia in 1995 and in Rwanda in 1994. “The international community cannot remain silent and not condemn the horrendous suffering caused by what from all indications is a state-backed programme of brutal depopulation of the Rohingya inhabited areas in Myanmar on the basis of ethnicity and religion. The President thanked the UN for assisting Nigeria to tackle its humanitarian crisis in the North-East. He also commended the UN’s role in helping to settle thousands of innocent civilians caught in the conflicts in Syria, Iraq and Afghanistan. Soldiers, in operation Python Dance II, this evening invaded the family House of the Leader of the Indigenous People of Biafra (IPOB), Nnamdi Kanu, at Afaraukwu, Umuahia, ransacked every part of the house and desecrated the palace of his father, the traditional ruler. They were said to have shot themselves through to gain entry into the highly secured and fenced compound having dislodged the human barricade that is always present at the gate and house of the IPOB leader. An unconfirmed family source said that about 18 people lost their lives during the invasion which occurred between the hours of 4 and 5 pm on Thursday. Another source said that only 4 people were killed by the troop, which opened fire at the palace for more than 30 minutes. 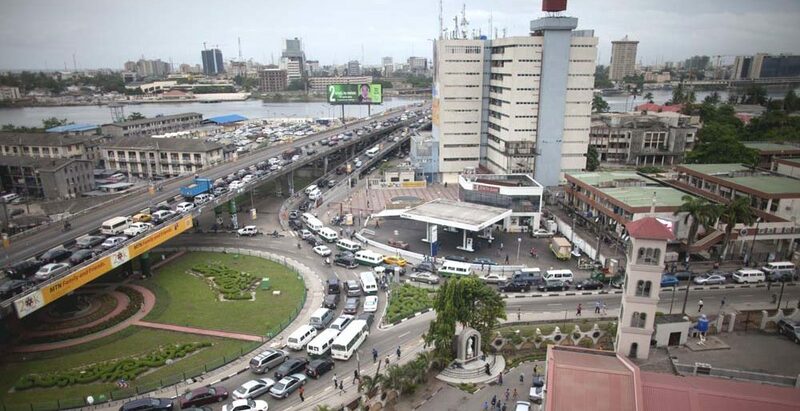 Daily Sun observed that between the time mentioned above, the heavy shooting was heard coming from Afara area of the Umuahia, the state capital, which made residents run for safety. Meanwhile, the where about of the IPOB Leader is not known as efforts made to obtain information about him did not yield any fruit. The Nigerian Army said it will punish any soldiers or officer found guilty in the maltreatment and dehumanization of some alleged members of the Indigenous People of Biafra (IPOB) in Abia state in South East Nigeria. A video which had gone viral had shown the several Nigerian Army soldiers whipping with stick and clubs some youths allegedly belonging to IPOB. There were some others where young people rounded up and laid or stacked side by side on the bare ground was commanded by soldiers and compelled to brutalize themselves in twos. The video also showed the soldiers ordering the youths to rolls in muddy waters and some died as a result of the torture and inhuman treatment by the Nigerian Army troops. The Army statement signed by the spokesman in Enugu, Colonel Sagir Musa reads in full: “The attention of the Headquarters 82 Division Nigerian Army has been drawn to a video clip trending on social media and other platforms purportedly showing troops humiliating some people at a checkpoint in Abia State, Nigeria. “The issue is being investigated to ascertain the source and the actors in the clip. Our Code of Conduct and Rules of Engagement are quite clear and any officer or soldier that infringed on any of such directive if found guilty will face the full wrath of the military justice system. “We would like to inform the public that 82 Division is also aware of the planned misinformation and propaganda arrangement by the secessionists’ Indigenous People of Biafra (IPOB). “They intend to churn out pre-recorded video clips aimed at discrediting the Nigerian Army, causing disaffection among the citizens of this country. They will be using bogus, manipulated and photo-shopped photographs as well as video clips. “The public should be wary of such mischief, scrutinize and report same to the Nigerian Army or any of security agencies. The Division wishes to reassure the public that it is determined to ensuring the safety of lives and properties in its area of operational responsibility, particularly the entire South East geopolitical zone as enshrined in the Constitution of the Federal Republic of Nigeria.